Hello to all BlueCat Administrators out there. 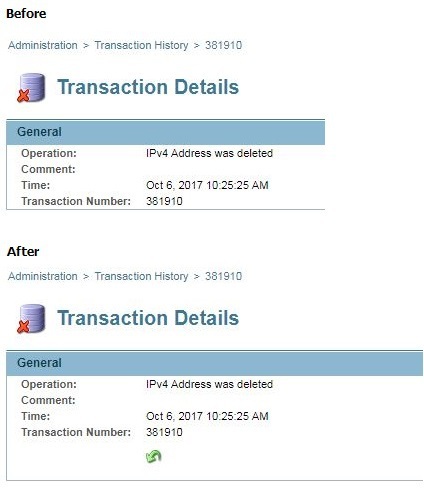 Have you ever checked the details of a transaction you want to restore and wondered why there is no restore button? Here is a script that can help you out by checking the transaction id and adding a link to restore the transaction currently displayed.